Fort S.A.N.D. 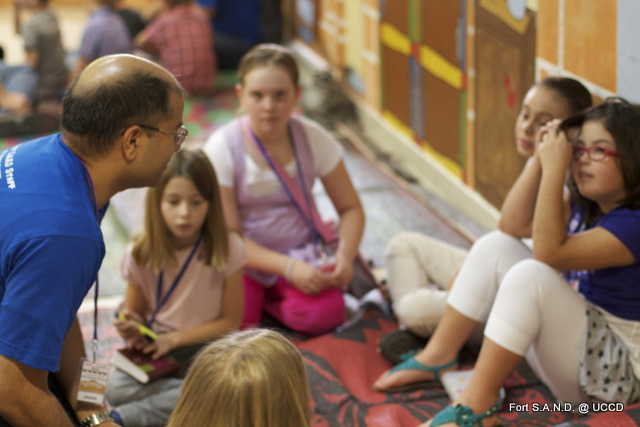 exists to partner with parents in raising up children to be committed and confident followers of Jesus Christ; through age-appropriate, Bible-based and Gospel focused teaching. Thank you for taking the time to check out Fort S.A.N.D. Children's Ministry. We welcome you and your family to come join us any and every Friday morning as we study God's Word together. This year during the Friday Foundations hour (9:30- 10:30) children age 4-11 will be going through a study called "Bible Big Questions.” Each week we'll look to God's Word to answer questions about God and His Word and what it means to follow Him. Fort S.A.N.D. 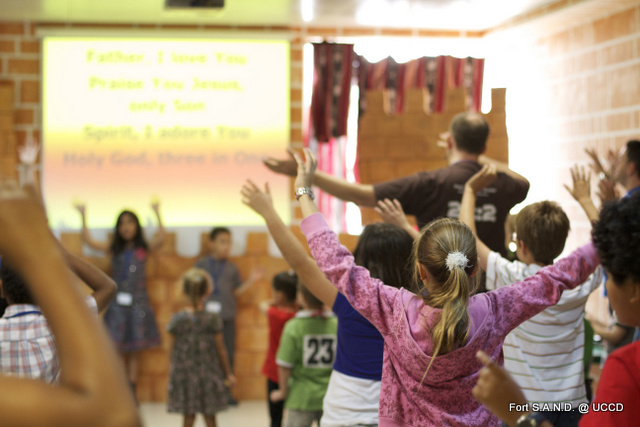 Children's Church meets during the main worship gathering at 10:30 am each Friday morning. 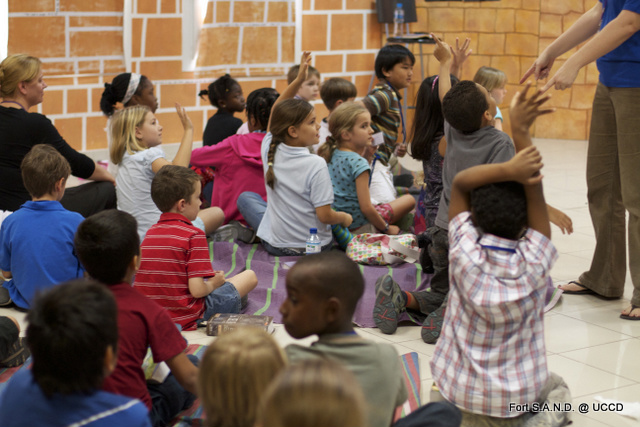 During Children's Church, children of all ages (0-11) have the opportunity to hear the truth of the Gospel through song, prayer, teaching and application activities. This year in children’s church we’ll be going through a curriculum based on the book “Jesus Storybook Bible” where we’ll see that every page and every word of the Bible points us to Jesus. Sandbox Ministry - In the Sandbox, we offer 6 age-graded classes for children birth through age 4. In these classes, the Bible is taught at an age appropriate level through story time, music, craft, learning activities and play. Fort S.A.N.D. 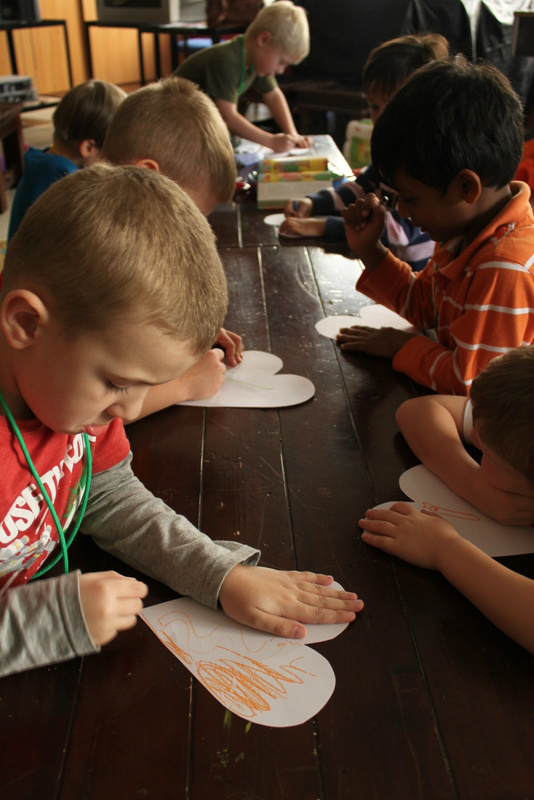 Children's Church - For ages 4-11, we offer a large group/ small group format. 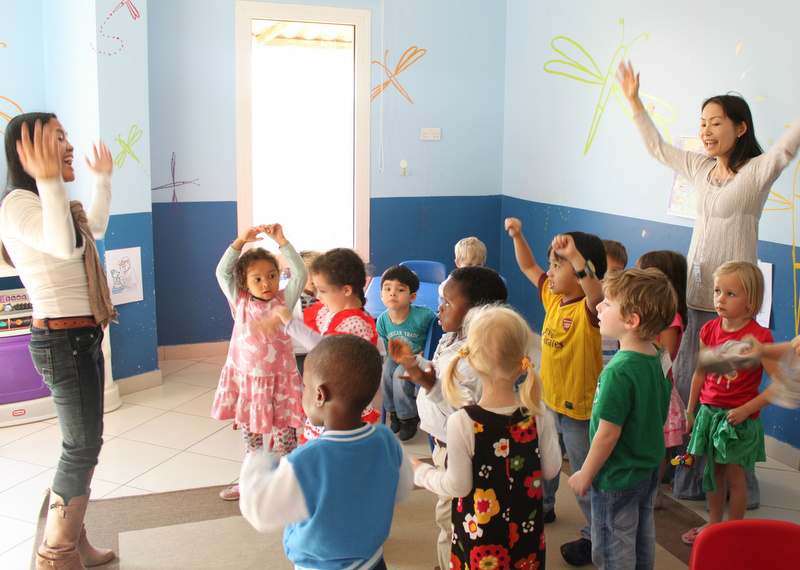 All children start the class together in large group where they sing, pray, hear the Bible taught, take up an offereing and more. At the end of large group, they are divided into age (and sometimes gender) specific small groups to review the lesson and apply it to their lives. During the 2017-2018 school year we'll be going through a study called "Praise Him Through the Psalms." We'll walk through the book of Psalms and discover more of who God is and what it means to follow Him. 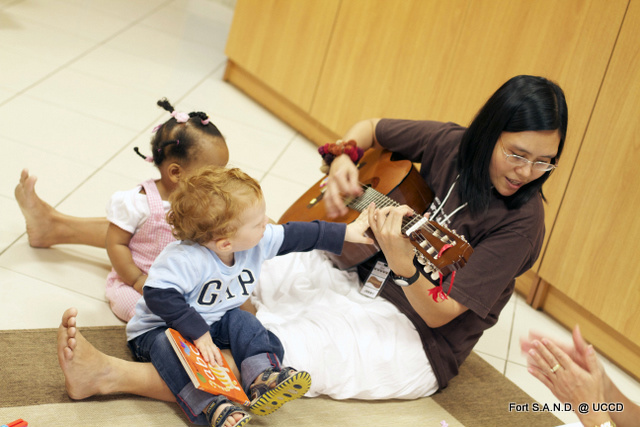 A time for toddlers and their parents to gather together for fellowship, story time, singing, crafts, snacks and play and for relationships to be built around the Word of God. Children's Church at Fort S.A.N.D. occurs in a large group/ small group format. All 4-11 year olds start the morning together in large group where they sing, pray, hear the Bible taught, take up an offereing and more. At the end of large group, they are divided into age (and sometimes gender) specific small groups to review the lesson and apply it to their lives. During small groups, we spend a lot of time reading the Bible together as well as praying, learning memory verses and playing games designed to help us learn the truth of God's Word. All children should bring a Bible with them to church each week. Please make sure your child's name is clearly written inside the Bible. 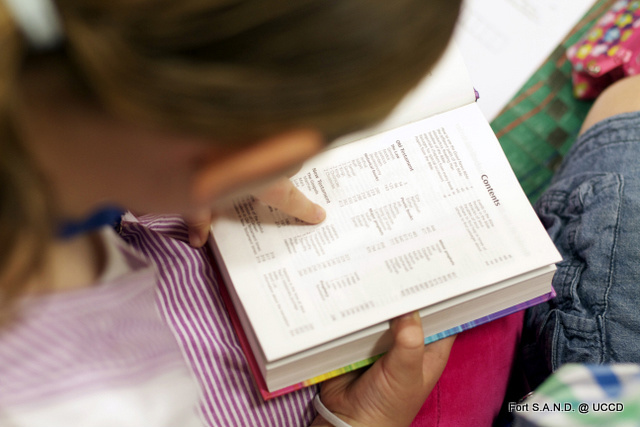 Even non-readers are enocuraged to bring a Bible as they will begin to learn to use the Bible to prepare them for Please read this article for more info on why children should bring Bibles to church. Please try to avoid bringing toys or other items from home as this can be disruptive to the class. All children should be signed in at the Fort SAND Welcome Desk (outside of the Mercy room) each week before the start of the service. Parents of children in Tents, Caravans, Camels & Horses (ages 4-7) will be given a security card to present to the small group leader at the end of the session. To pick up your child in these age groups, please come into the classroom and approach the small group leader with whom your child is seated and they will dismiss your child. Children in Dunes and Sandstorm (age 8-11) will be dismissed at the end of the of the service. Please arrange with your child a place to meet after church. 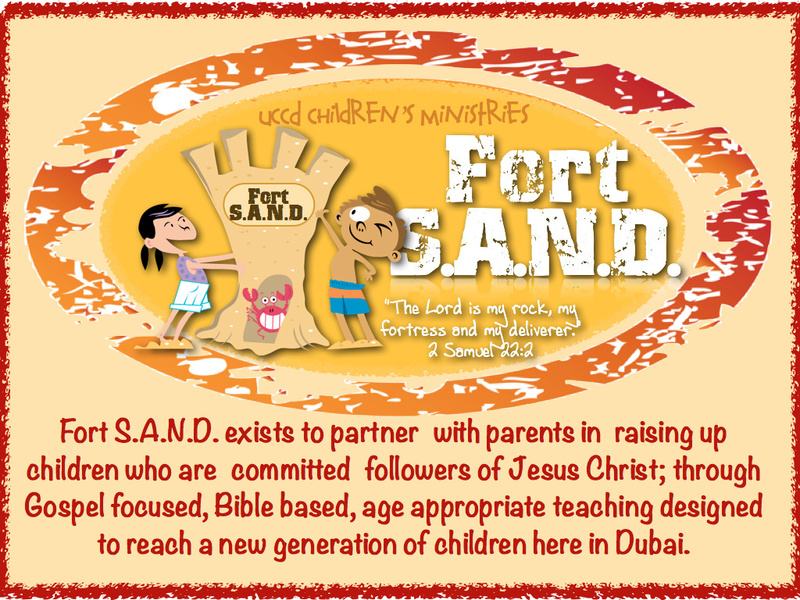 The Preschool Ministry of Fort S.A.N.D. Our desire is that while your children are with us here in “the Sandbox” that they will hear the Bible being read, begin to get to know who God is and what He has done and see the Gospel being lived out in the lives of the volunteers who faithfully serve in Fort S.A.N.D. and that all of this will be done in a way that allows you the freedom to concentrate on the message being taught in the service. Sand- - This room is designed for babies born since June 2016 In this room, they’ll begin to hear Bible truths (such as “God made everything”), while they’re being loved and cared for by our volunteer team. 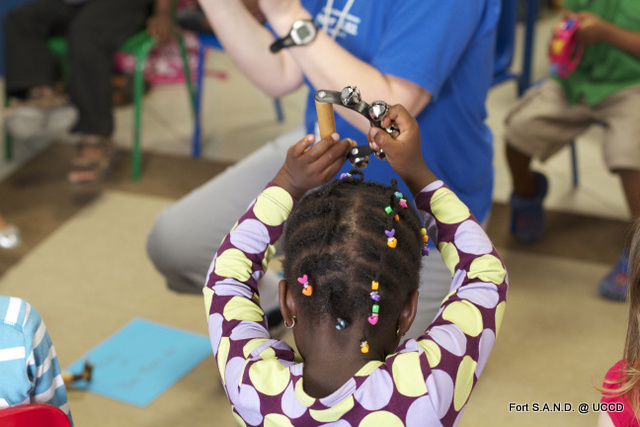 Children are moved up to Pebbles 1A based on need and space availability in December & March. Please do not move your children on your own. Pebbles 1A- -This room is designed for little ones born January - May 2016. In this room they’ll hear Bible truths spoken, they’ll sing Bible truth songs and they’ll begin to see the Bible being read to them. They’ll also have time for play and snacks. Pebbles 1B- -This room is designed for little ones born September 2015- December 2015. In this room they’ll hear Bible truths spoken, they’ll sing Bible truth songs and they’ll begin to see the Bible being read to them. 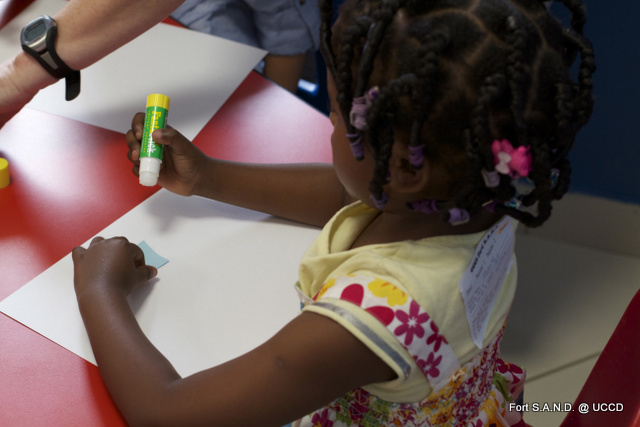 They’ll also have time for play and snacks and the occasional simple craft. Pebbles 2 - -These rooms are for children born between September 2014- August 2015. In these rooms they’ll continue to hear and sing Bible truths, they’ll see the Bible being read and taught to them and they’ll begin to memorize Bible verses. They’ll also have time for play, snacks and crafts. Stones -- These rooms are for children born between September 1, 2013 & August 31, 2014. In these rooms they’ll continue to hear and sing Bible truths, they’ll see the Bible being read and taught to them, they’ll memorize Bible verses, and they’ll begin to understand more of who God is and what He has done. They’ll also have time for play, snacks and crafts. In all of our Sandbox classes we love to sing. Here is a Sandbox song sheet that you can download and print to sing at home with your children. ** For the safety of children with allergies, only children with allergies to wheat, milk or nuts will be allowed to eat snacks from home. All other children will be given digestive biscuits. ** All items brought from home should be labeled. Diaper bag tags are available at the sign-in desk. FOR ALL KIDS - -Please try to avoid bringing toys from home as this can be disruptive to the class. Each week you will need to sign your child in at the desk, find your child’s nametag & clip it to their back, and leave them with the volunteer inside the gate. Parents of 'sand' and 'pebbles 1' classes will be asked to bring their child into the room and fill out information on a board in the room so that the teachers know best how to care for them. If for some reason you need to come into the “sandbox” area, you will be asked to wear a visitor nametag. At the time of sign-in you will receive a security card that matches the number on your child’s back. No child will be released without the matching security card. Children can only be picked up by someone over the age of 16. In order to maintain the health of all children in the room, we ask that you not bring your child if he or she has experienced any of the following symptoms in the last 24 hours: Fever of 100F or 38C, nausea, vomiting, earache, sore throat, undiagnosed rash, diarrhea, drainage from eyes, headache or yellow/green nose discharge. WHAT IF MY BABY NEEDS ME? Please leave your phone on and have it with you in the service. If we need you we will send you an sms/ text message asking you to come to the “Sandbox” area. Please read this article to help prepare you for the inevitable separation anxiety that happens upon dropping children off. Psalm 139:13-16 says, "For you formed my inward parts; you knitted me together in my mother's womb. I praise you, for I am fearfully and wonderfully made. Wonderful are your works; my soul knows it very well. My frame was not hidden from you, when I was being made in secret, intricately woven in the depths of the earth. Your eyes saw my unformed substance; in your book were written, every one of them, the days that were formed for me, when as yet there was none of them." Scripture reminds us that God created each of us and we are all fearfully and wonderfully made. 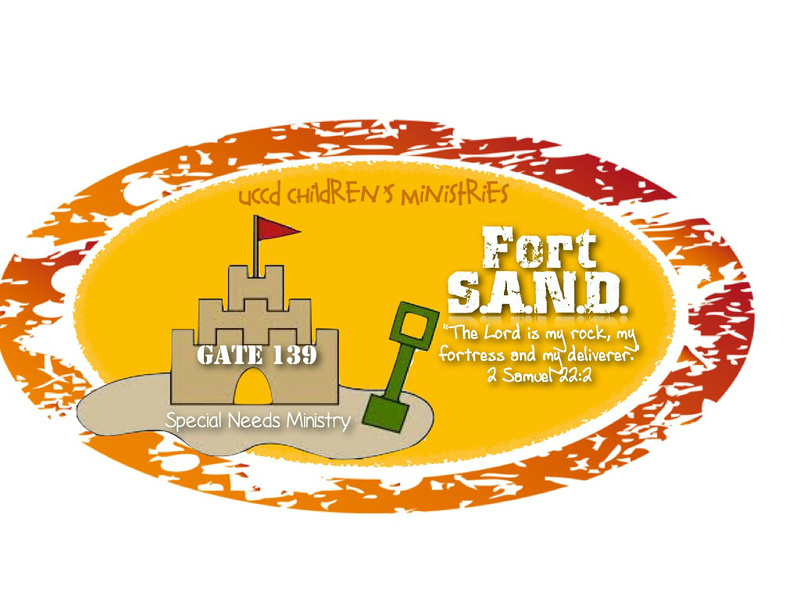 "Gate 139" is the ministry for special needs children at Fort S.A.N.D. In "Gate 139" our goal is to partner with parents of children with special needs as they raise their children in the knowledge and instruction of the Lord. "Gate 139" kids will attend large group worship time with all of the age 4-11 kids and then will spend the remaining part of the service in a room designed just for them where they will have an opportunity to work through the passage for the day in a one-to-one setting. They'll hear Bible truth, sing Bible truth and play games and to crafts to help them apply Bible truth to their hearts. 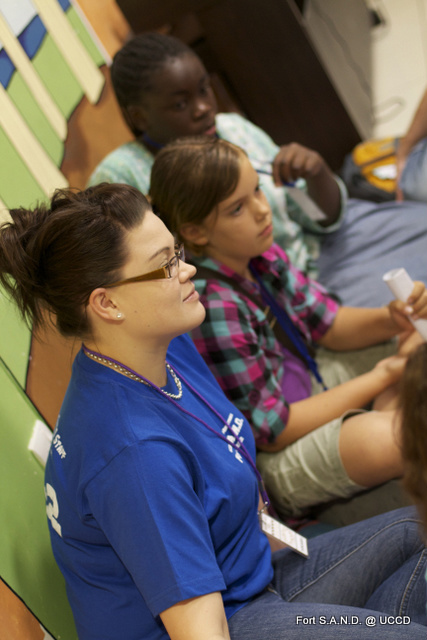 If you have a child who you think would benefit from this ministry, please contact the children’s ministry director to talk about your child's needs and how we can best minister to them. Why do we have “Gate 139”? All children (all people) are created in the image of God. We are all made to reflect God’s glory and be His image bearers on this earth (Genesis 1:26-27). All children (all people) are sinners. We are all born with a sin nature and not one of us is good enough for God (Romans 3:23). All children are a gift from God (Psalm 127:3). Children are entrusted into the care of their parents to raise and train them in the knowledge and instruction of the Lord. Parents are called to train their children (Deuteronomy 6:6-7; Hebrews 12:7-11). The role of the church is to come alongside parents as they work to this end. As a church, we partner with parents in the training and instruction of their children. God is sovereign; God is not surprised by anyone having a special need (Psalm 139:13-14). Every detail of every child was formed by God in their mother’s womb. Nothing about any child is an accident and God is to be praised for His creation in all children. It is also helpful to realize that in all biblical references to people and children, there are no exceptions. When we read in the Bible about the sinful state of mankind, we read that we are all sinful from birth, none of us are exceptions to that truth. In the same way, when we read that children are a gift from God, we need to remember that there are no exceptions. All children are a gift. Our understanding of the character of God as creator, holy, just, righteous and sovereign should help to shape our worldview when it comes to how we interact to all children, especially those with special needs.